Raw was okay in this regard, but nothing super duper special. 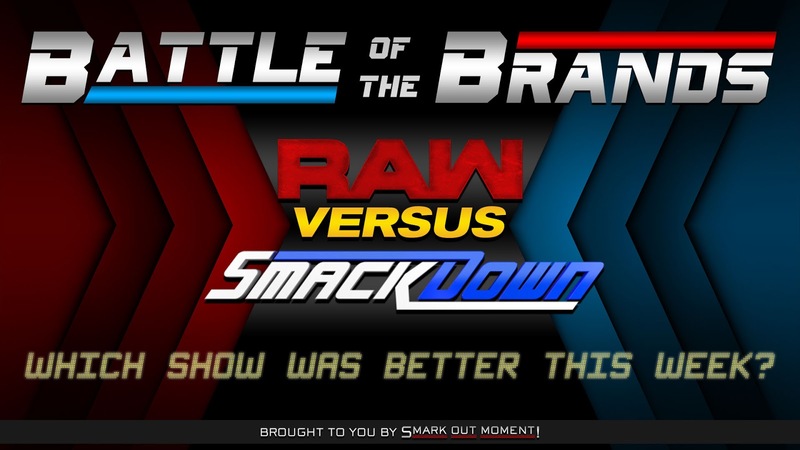 SmackDown only had two matches, but one of them was the gauntlet match and that beats out everything else. Positives for Raw are Ambrose's quick "promo" and Elias's song. Negatives are everything else, basically. SmackDown had the Charlotte Flair promo and McMizTV and I wasn't a fan of either of those. "Will Becky Lynch apologize?!" was the main hook of the night. For 3 hours, it revolved around whether or not she'd say "I'm sorry." That's a bit ridiculous. I also felt like there was no advancement whatsoever with Seth Rollins and Brock Lesnar, and really, nothing much happened on this episode outside of the tag title change and Ambrose seemingly heading toward a face turn. SmackDown was essentially devoid of storyline. Raw had an okay pacing to it, overall, but there were some hiccups along the way, like having big anchor segments that take up giant chunks of time. SmackDown was two matches and that's it. While it wasn't bad, it's hard to give it a major win over something so simple. Raw gains a bonus point for The Revival winning the tag titles, as well as the Ambrose turn of sorts. Raw loses a point for how half-assed Vince McMahon's promo was. SmackDown gains a point for giving Kofi Kingston the longest role in the gauntlet match and for the quick, simple RKO finish.